I have to say that this isn’t the kind of music I listen to a lot. The sound here is more or less a modern pop sound with a lot of retro elements. 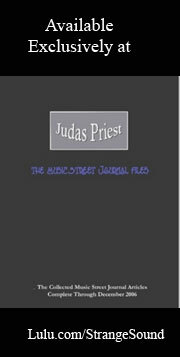 Although the music is good, what really sells this is Jody Quine’s voice. She’s one of the best singers I’ve heard in a long time. That, combined with some clever pop music means this EP is likely to make my best of 2013 list. Considering this doesn’t fit into my usual favorite type of music, that says a lot. 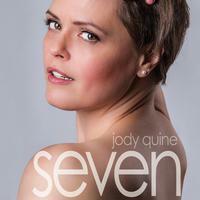 Jody Quine is an incredible talent and I plan to follow her career going forward. I’m hooked. Atmospheric elements bring this in, serving as sort of a spacey introduction. Then a more bouncy kind of pop rock vibe enters. When Quine’s vocals enter the picture is completed. This is dreamy and powerful. This is more energetic and more of an adult contemporary song. The vocals again are just awesome. This song is catchy and accessible and might be even better than the opener was. Another change, this has a real electronic element to it. The vocals lend something in between country and soul sounds. This is an unusual piece of music. Yet, it works really well. There is a more powered up section later that almost has a club electronic vibe to it. Still, there’s a more artsy edge to this than that conveys. This is another great piece on a set full of them. If there’s a complaint here it’s that Quine’s voice seems a little over-produced here. As strong as her voice is, that’s a disservice. Starting on piano, this has more of a full on modern electronic pop vibe than anything else here does. It’s another good song, though. I have to say that the arrangement on this is a little pedestrian, but Quine’s voice saves it. That’s despite a little bit of over production at times, too. The drums on this are pretty prominent. The song has more of a modern take on a folk rock sound. The vocals here are more pure, and that’s a plus. When a singer is as good as Quine is, she deserves to be heard without a lot of augmentation or processing. This is one of the better songs on the whole set. The musical arrangement here is dramatic and classic. This is arguably the best song here. Quine’s voice is awesome and the song just really grabs the listener with its magic and charm. This is such a great tune. This is more or less a slow moving ballad. That said, the arrangement gets quite powerful with waves of sound that serve as a rather electronic symphonic production. Normally I wouldn’t consider a slower song like this a good closer. The thing is, this type of arrangement really shows off Quine’s voice. That makes it a great choice here.